Situated in the heart of London, City Sight offers a wide range of eye care services to the general public and local businesses in state-of-the-art facilities. 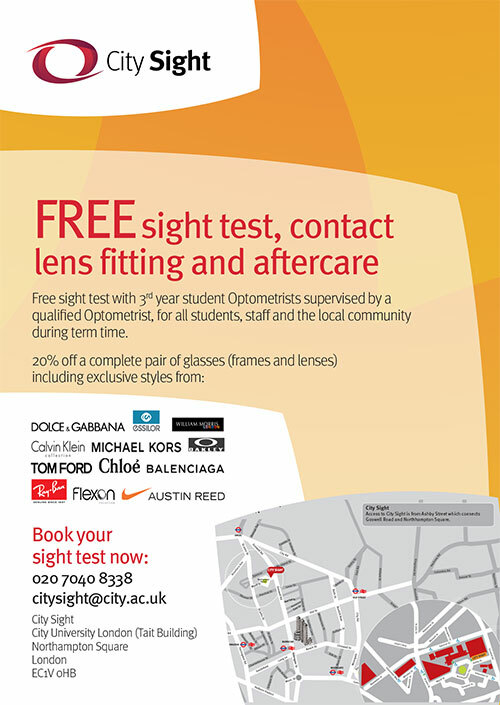 Eye examinations in our student clinics are free. 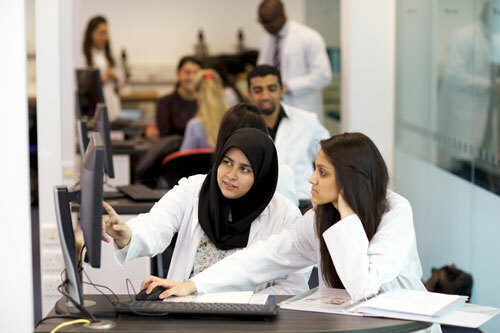 These eye tests take place during term time and will be carried out by 3rd year Optometry students under supervision and take approximately 2 hours. We also provide free NHS eye examinations for those who are eligible. Please call 020 7040 8338 or email us to book an appointment. I was really impressed with the service from you and your colleagues at the clinic yesterday, and the student who saw me was great. It was my first eye test in about 30 years, I will not leave it so long next time! Just to say a very big thank you and how great the eye test I had a Fight for Sight was last week. I’ve had problems with my eyes for months and have been back to a high street opticians several times, where I have been told that my blurry vision, itchy eyes and headaches have been caused by me ‘just being one of those people whose eyes change prescription frequently’. Then last week I came to your clinic and the student I saw told me I had Blephritis. He gave me an eye wash, and 1 week later my eyes are now fine, no more blurry vision, they are not itchy by the end of the day, not light sensitive and all the symptoms are gone. It's fantastic! !